ZANU-PF has emphasised that all disciplinary cases should be dealt with in accordance with the laid down procedures set out in the party constitution. The clarification comes in the wake of ongoing purges of over 100 party members, among them Politburo and Central Committee members, accused of working with former Vice President Emmerson Mnangagwa in his bid to unprocedurally succeed President Mugabe. In a statement yesterday, Zanu-PF National Secretary for Information and Publicity Cde Simon Khaya Moyo clarified the party’s procedure on handling disciplinary matters. “The Politburo sitting at its 313th Ordinary Session at the party headquarters on 8th November 2017, resolved that all disciplinary cases preferred against some party members should be dealt with in terms of laid down procedures as set out in the party constitution,” said Cde Khaya Moyo. He said in the case of provinces and other subordinate structures, disciplinary processes should be conducted in terms of Article 10 Section 77 to 82 as read together Section 69 of the constitution. “In the case of disciplinary processes against members of superior organs, respective provinces should prefer charges and submit their recommendations to the Secretary for Administration for onward transmission to the National Disciplinary Committee for further due process. Article 10 of the party’s constitution creates national and subordinate disciplinary committees. Section 77 of the constitution empowers only the national disciplinary committee to expel a member from the party. The statement comes at time various provinces have started instituting disciplinary processes against party members accused of working with the axed former Vice President. 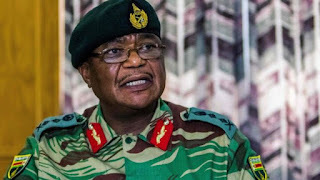 Harare recommended the expulsion of Politburo members Cdes Cleveria Chizema and Omega Hungwe, and Harare East National Assembly representativeCde Terrence Mukupe; while 22 others face suspension. In Matabeleland South, recommendations were made for the axing of provincial chair Cde Rabelani Choeni, Central Committee members Cdes Reni Kibi and Tambudzani Mohadi, Matabeleland South provincial war veterans’ chair Cde Section Ncube, and former Matabeleland South Provincial Affairs Minister Cde Abednico Ncube. In Masvingo, the PCC recommended the expulsion of party Deputy Secretary for Legal Affairs Cde Paul Mangwana, Deputy Secretary for Security and Parliamentary Chief Whip Cde Lovemore Matuke, and Central Committee member Cde Clemence Makwarimba. The province also wants its chair, Cde Ezra Chadzamira, booted out. Manicaland recommended the expulsion Cdes Mike Madiro, Joshua Sacco, Moses Gutu, Winnie Mlambo, Joseph Mujati, Christopher Chingosho, Alice Chitima, Oliver Mandipaka, Gorden Chikwanda, Timothy Mapungwana, Monica Mutsvangwa, Ellen Gwaradzimba, Tasin Dube, Hubert Nyanhongo and Judith Mawire. Mashonaland West recommended the expulsion of Politburo member Cde Prisca Mupfumira and Zvimba West National Assembly representative Cde Ziyambi Ziyambi. In Mashonaland East, there is a push to eject Cde Joel Biggie Matiza and Deputy Speaker of the National Assembly Cde Marbel Chinomona.